My name is Holli Murphy, I live on the beautiful South Shore of Nova Scotia with my fiancé, Owen. I am active in numerous dog spots including conformation, obedience, draft and tracking and share my home with my beautiful Rottweilers. 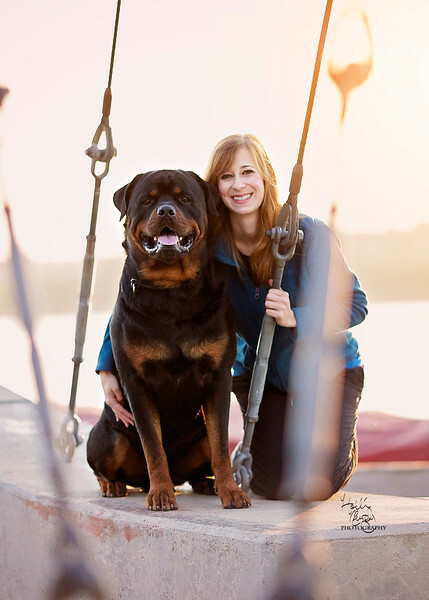 I am co-owner of Stonerose Rottweilers with Marcia McNaughton, combining two passions in my life - Rottweilers and Photography. I pride myself in capturing dogs at their best, and allowing their personality shine through in every photo. I travel to many local shows around the Maritime provinces, and occasionally travel out to attend shows such as Westminster Kennel Club Dog Show and National Specialties. Please take a look around this site and view my galleries for a look into my style of photography. If you are interested in booking a shoot, please contact me - I would love you hear from you.